Vets have warned cat owners to be careful with their recyclables after one feline's head got stuck in a metal can. Felix's metal mishap happened as he scavenged for food in a Bedworth neighbour's bin. Sam Wellbank saw her five-month-old former stray in pain when she called him in for breakfast. Ms Wellbank, 34, says he meowed loudly and seemed in distress. 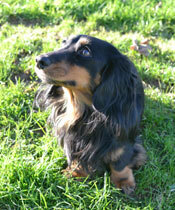 An operation at the Coventry-based PDSA Pet Hospital freed Felix from the tin. The only side-effects Felix suffered were an high temperature and a cut ear. Debbie Evans, a veterinary nurse who dealt with Felix, says there was a danger that he could have been suffocated if the tin can had not been removed. She urged people to be careful when leaving out glasses and cans for recycling. Ms Evans says people should keep recycling enclosed or covered if they can. She says that a tins and sharp edges pose real risks to wildlife and pets. Ironically, Felix, who is a dead ringer for the cartoon cat used to market Felix cat food, had his head trapped inside a Whiskas cat food tin.